Royal Caribbean has released new construction photos of Spectrum of the Seas from the Meyer Werft shipyard in Papenburg, Germany. We get to see how far the future ship has come. 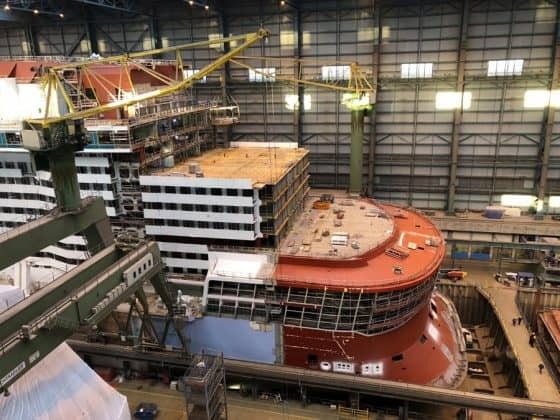 The cruise line has released some new photos of Spectrum of the Seas which will be the first Quantum Ultra class ship. The ship will be an evolution of the current Quantum class and will be the next new ship to join the fleet in 2019. 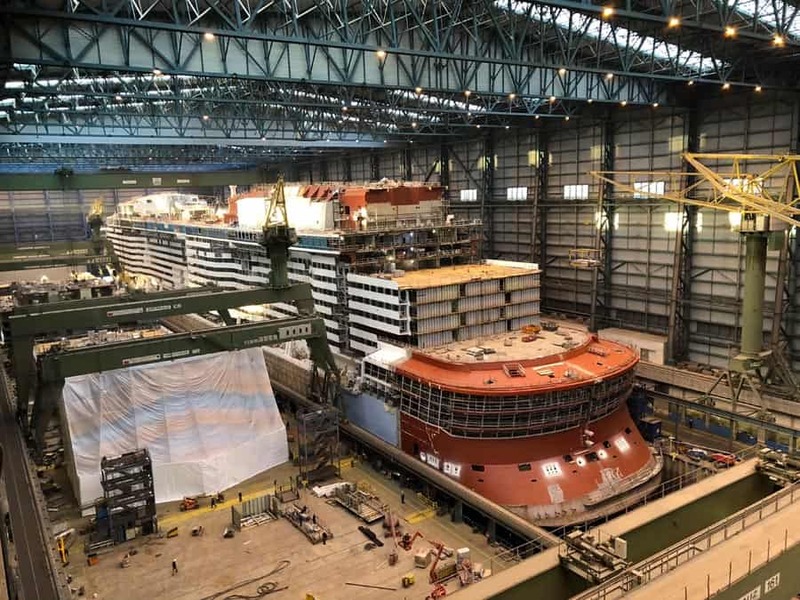 It’s busy at the shipyard in Germany which is where Spectrum of the Seas is coming together block by block. We last posted photos of the ship in September so take a look here to see far construction has come. As you can see the ship is not altogether just yet with more blocks still to be added towards the aft sections. 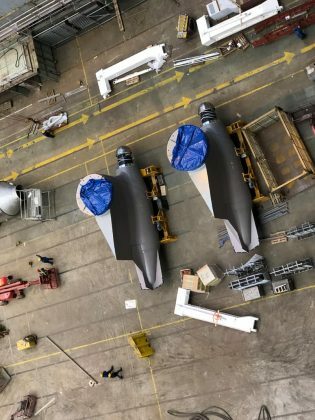 However, she does look more like an ocean-going cruise ship and it won’t be long until she’s floated out on to the water and out of the building hall. Spectrum of the Seas will still need to undergo her conveyance along the Ems River and then sea trials to make sure she’s seaworthy. As we follow the ship’s developments Royal Caribbean will also be releasing updates and unveiling features that will be onboard by the time the ship is delivered in Spring 2019. The U.S. won’t get to see the shiny new ship as she’s going to be based in Asia. Spectrom of the Seas will be sailing a 51-night Global Odyssey cruise from Barcelona, Spain. The ship will be begin cruises out of Shangai, China on June 6, 2019.